We are open Monday - Saturday. However, not all services are offered at all times. Please click the service below for service days and times. Mammograms are only available at our Durham and Fayetteville locations. Your time is important – to you, your family and us. That’s why screening mammograms performed at Carolina Imaging generally take less than 30 minutes – less time than a typical doctor’s office visit. 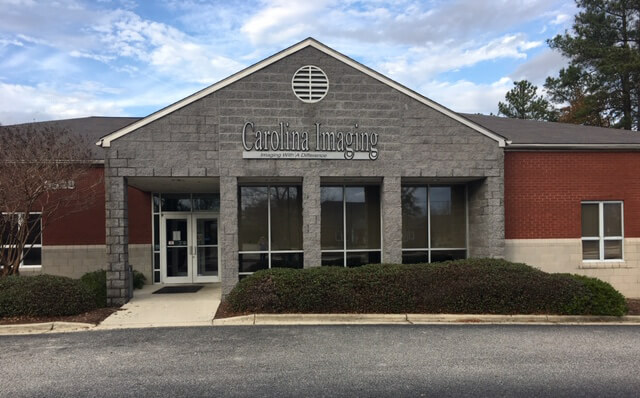 Carolina Imaging is conveniently located on 3628 Cape Center Drive, Fayetteville, NC. Offering Open MRI, CT, 3D Mammography, Ultrasound, DEXA, Nuclear Medicine and X-ray, we have provided diagnostic imaging services to the Fayetteville and Fort Bragg community and surrounding areas for over 25 years. Easy parking and hands on assistance from the moment our patients walk through the door are just a few of the advantages Carolina Imaging offers. We know time is important to you so we offer same day appointments for most services as well as evening and weekend hours for MRI appointments. There is complimentary WiFi and coffee for your comfort and convenience. We can retrieve prior records for study comparisons from many hospitals in North Carolina and offer results to your physician within 24 hours of your test. We utilize state-of-the-art equipment. We offer the local and surrounding area’s only TRUE Open MRI for claustrophobic patients to help ease anxiety and complete the exam with ease. 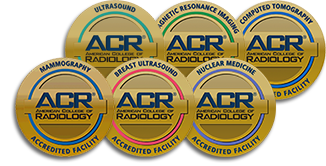 Carolina Imaging is an ACR accredited facility and all exams are performed by a registered technologist. All images are read by a board-certified, fellowship-trained radiologist which is included in the cost of the study! 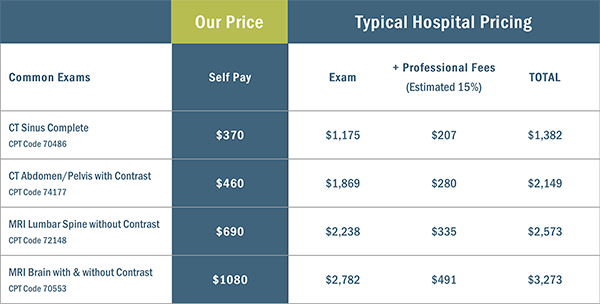 The cost of our radiology exams are approximately 40-60% less than the hospitals. Our Operations Manager is Lana Witiak and Marketing Manager is Leonna Byrd.